Traci Gonzales, pediatric pulmonary nurse practitioner, is the recipient of a Top 150 Nurse Award by the Houston Chronicle. 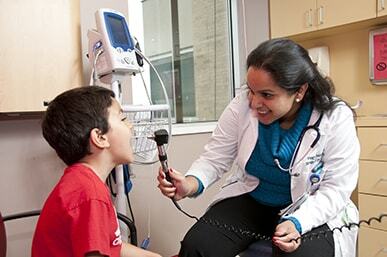 Gonzales has devoted her nursing career to pediatrics and has worked the last three years as a pediatric pulmonary specialist in the Division of Pediatric Pulmonary Medicine at UT Physicians Pediatric Specialists at the Texas Medical Center. She received her nursing degree from McNeese State University and her Master in Nursing from Texas Tech University Health Sciences Center. Gonzales was selected from among hundreds of nominations by a panels of educators and leaders identified by the Houston Chronicle. She was honored at a May 5 awards luncheon and featured in the Houston Chronicle’s Salute to Nurses Special Section. Gonzales joined McGovern Medical School in October 2013 and in the coming months will be transitioning to the UT Physicians High Risk Children’s Clinic, which provides comprehensive medical care to children with complex medical needs.